As well as being featured across the media, his work as an author and a groundbreaking educator, the part he has played in developing the latest software and in the construction and maintenance of this website, Paul Wade also runs a thriving astrological consultancy, based deep in the south-eastern UK. Paul is easily reached by road or rail if you’d like to see him in person. Visits and venues can be arranged, or else you might select a telephone consultation or a pre-recorded session, delivered on CD or as an MP3 download. Your location never will be any impediment to the one-to-one nature of this service. 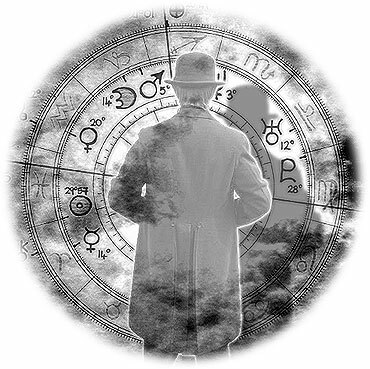 Comprising an analysis of your own astrological birthchart, combined with a detailed forecast for the coming year and beyond. Your consultation is considered from your viewpoint and will answer your questions on relationships, career, health, finance, self-understanding and a sense of direction as a few popular topics for discussion. Astro-consultations happen on a confidential one-to-one basis and last for about an hour. They work well in person, over the telephone or recorded in advance. A complete astrological picture of any relationship whether on a romantic, personal or professional basis. Includes an in-depth investigation of the planetary energies at work, but only after each birthchart is examined from a relating perspective. Then the dynamics of your connection are considered, with the prospect of a likely outcome and the ways to maximise those favourable aspects of your combined energies. Again, you’ll receive a private one hour consultation, recorded if you require. Essential where no time of birth is known or when records are only approximate. This specialised technique produces an accurate hand drawn birthchart that subsequently you can use for further investigation. Certain details are required to facilitate your rectification and these will be outlined when you order. Matters are easily conducted by telephone, post or email so where you are based is not any complication to this procedure. A hand drawn birthchart, accompanied by a concise, detailed and individually written astrological character and potential analysis of around 1500 words in length. This horoscope is an outstanding bonus for a new baby and can easily be delivered regardless of where you are located. A lifelong gift for parents and children too, each interpretation is especially synthesised, so it’s a very different concept from anything offered elsewhere. Similar to an astro-consultation, but geared to suit business or corporate interests and organisational concerns. Comprising an assessment of the enterprise or company in question, including strengths, talents and areas of concern. How, when and where your focus should be directed to expand for instance, invest, seek funding, speculate, reorganise or consolidate prior gains will all be clearly defined. Business consultations are usually charged with an initial fee for your first session, followed by agreed rates for continuing support, back-up and assistance… Your birthchart drawn by hand is a recommended option and is often offered at a tempting discount. Birthcharts can also be ordered by themselves for posting, airmailing or as a download. A full range of complementary services is available, so do get in contact for current prices and to discuss your needs further. Consultations happen at Paul’s location or yours, by telephone or are pre-recorded. Further details are all available on request.